Carlton Court is a trusted provider of apartment rentals in London. Our serviced apartments are personally inspected and maintained so that we are able to meet your high expectations. You can choose from 1 and 2 or 3 bedroom apartments. Each one of our flats comes with separate living, sleeping and dining areas so that you can enjoy all the space and freedom you desire. We understand that time is one of the most important assets when you are on vacation and our central location ensures that you are well-connected with the different parts of the city. If complete value for your money is what you want, choose us as your accommodation partner. Do you enjoy cooking? Do you like relaxing on a plush sofa watching a movie? With Carlton Court, you can follow your normal routine even in London. Our living areas have comfortable sofas and sofa bed, along with an LCD TV with full Sky HD package in numerous languages. The dining room features beautiful chairs and table where you can enjoy a wholesome meal with your family. As for the kitchen area, it is fully-equipped with the latest appliances so that you can cook to your heart’s content. The bedrooms have soft, plush beds that will help you get a good night’s sleep and the bathrooms have power-showers. Living with us, will give you the home away from home feel. 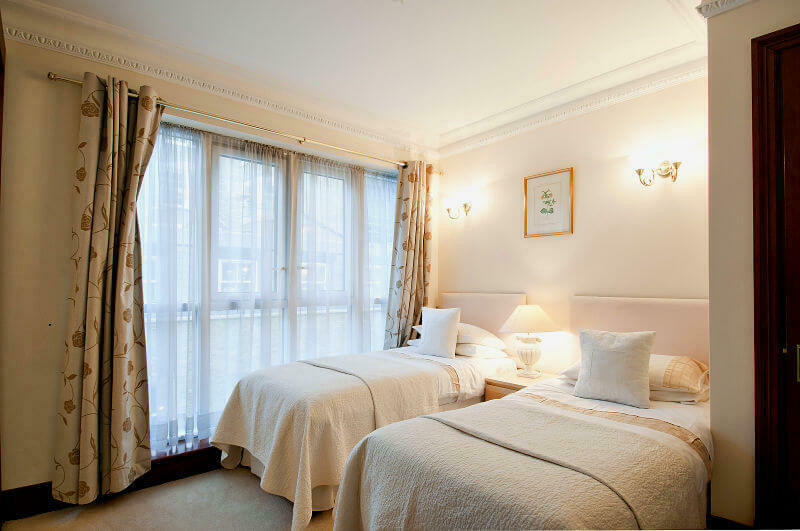 Our central London vacation rentals come with all-inclusive services. You can enjoy 24/7 security, housekeeping services for 7 days a week, complimentary breakfast throughout your stay and a Welcome Pack as you enter our apartment. We also offer concierge services to help you plan the perfect holiday. If you are having trouble navigating the city or want information regarding the popular tourist spots and dining choices, we can help. Live like a local with Carlton Court. To rent our beautiful apartments, call us.